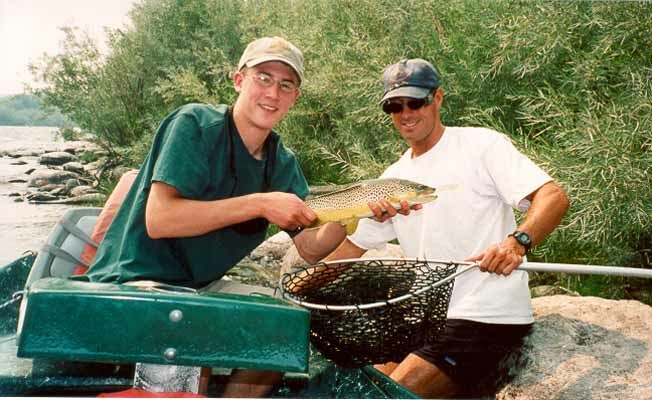 Gone Clear Outfitters lets you experience southwestern Montana's finest fly fishing with an experienced, full time fishing outfitter, Dave Hall. Dave runs a small scale guide service which allows personal attention and the flexibility to target blue ribbon waters at their peak times. Visit the Yellowstone, Madison, Big Hole, Beaverhead, Missouri, and Big Horn Rivers when the conditions are right for success. First time fly fishers will enjoy patient and relaxed instruction. Guests will float in the comfort and safety of a 16-foot Mackenzie drift boat. In addition to the fishing, everyone appreciates floating amidst spectacular scenery, wildlife, and the picnic lunch that is a part of every trip.